Designed to resemble a Classic timepiece, the beauty of the chic, slim LG Watch style is more than skin deep. Under its Silver exterior lies innovation that keeps any mover and Shaker going and going and going. Thanks to easy-to-set-up Bluetooth and Wi-Fi, the LG Watch style pairs with any Android or iOS smartphone -and outfit -seamlessly. And with Google now voice activation, operation couldn’t be simpler. 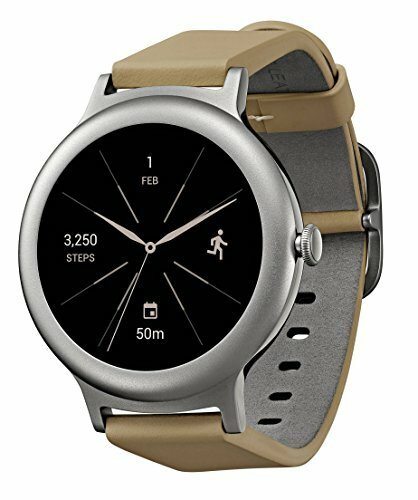 Set fitness goals and the LG Watch style is there every step of the way to help you reach them. Within its dust- and water-resistant frame, movement tracker and fitness apps record every move. Compatible with both Android (4.3 or later) and iOS (9 or later). Built-in Google Assistant "Ok Google"